Today’s SPOTLIGHT PLAYER is Kayla Richardson from Middletown South high school. Richardson is right now the most underrated, recruited player in Shore history by a long shot. The spring she has taken her game to levels I did not think were possible. Right now I believe Kayla Richardson is one of the top 3 202o players in the state. She clearly playing like the best 2020 player in the Shore. 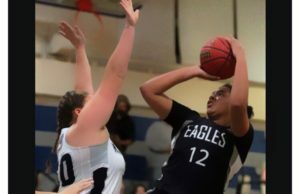 Kayla Richardson entered the Shore two years ago as one of the best Freshman in the state. 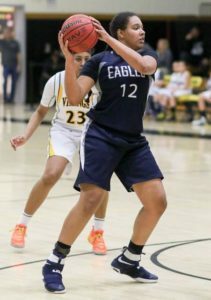 She backed that hype up by being named to the HOOP GROUP ALL FRESHMAN 1st TEAM. She was considered a very good player, a future D1 lock. When Middletown South lost to #1 Manasquan that year. It was she that tired to make it a competitive game. She showed no fear and that’s the way she has been since the day she put on a uniform. Her competitive nature is how she got to where she is today. She has a surpreme confidence in her ability. She is no question is a true alpha female. This trait can be misleading sometimes. It can be misunderstood for cockyness and a bad attitude. In reality it has been passion, that she has been displaying. There are few kids that are more unselfish on the court than Kayla Richardson. I always say the hardest thing in sports to do is to show up. It sounds like a very simple thing, yet there are few that can accomplish it. I have seen it all, injuries, family commitments, parties, homework. You name it and I’ve seen it. Kayla Richardson biggest strength just may be her ability to show up. Her durability is really amazing. 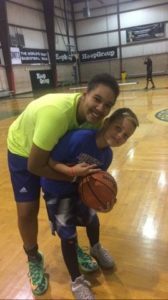 You rarely have seen her miss a game or a workout because of injury. Her ability to play though pain is so next level. It also explains why she has elevated her game to a level few have seen before. Right now there are no holes in her game. She is an elite ball handler, passer, rebounder, post player and rapidly improving three point shooter. She also is the best defender I know right now. I know of NONE better, that these have seen in and out of the Shore. 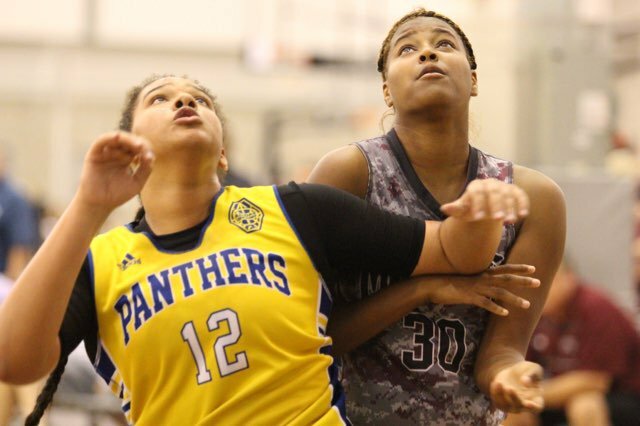 Kayla Richardson is a Power 5 defender….college coaches this is a fact. You would never know this unless you are paying attention. This spring at NBS I did not know what to expect from Kayla Richardson. I just knew she was at the crossroads as a young player. I always thought at 6’0″ and a thick body, quickness would be an issue. She would need to address this issue in order to play at the highest level. Any questions about her quickness and yes her conditioning was answered immediately. Not only has Richardson improved her quickness. She is light on her feet and her anticipation on offense and defense are so next level it’s almost to hard to believe the transformation. College Coaches, here is some real inside information. You will be in full recruiting mode when you see Miss Richardson. The quickness off the bounce is as good as it gets. The ability to change direction, as good as it gets. The ability to stop on the dime and shoot, as good as it gets. The fade away jumper in the lane and step back jumper are Lebron James type stuff. 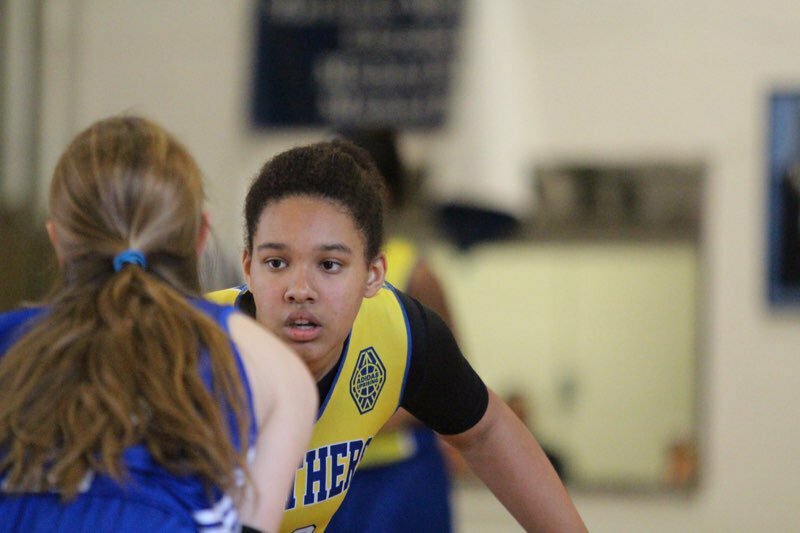 The ability to pass off the dribble or make the extra pass…THE BEST YOU WILL SEE FOR A PLAYER OF HER SIZE. Now there are other 2020 players, D1 schools are drooling over these days. There are 2020 players with scholarships offers in there pockets. 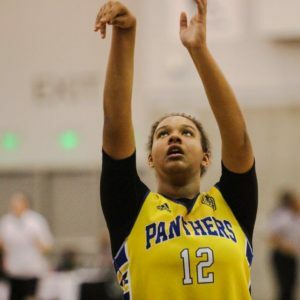 College Coaches, here is some sobering news for you, I have seen Kayla Richardson rip them apart this spring, surgically or viciously, depending on her mood. She has sent a message loud and clear...I am on a different level…and guess what ? She is folks. Kayla Richardson plays for the New Jersey Panthers. They are by no means a powerhouse AAU team. 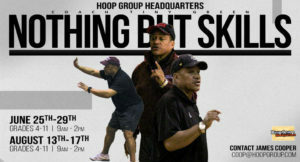 There not a AAU team college coaches will build there recruiting calendar around. 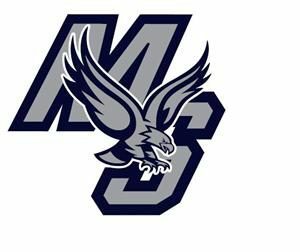 They have a very talented group of kids and a well respected coach in John Griffith. College Coaches will at some point peek in on them. I have mentioned to Kayla, that Academic Elite is a must for her. I told her if she attended, it would be the most exposure, she will receive all year combined. She told me she couldn’t do that to her team or her coach. Did I tell you, she is one of the most loyal kids I know? In the end, my guess is it won’t matter one bit. When college coaches peek in on the NJ PATHERS. They are going to see one of the most lethal packages and complete players in New Jersey. They will see a girl who can guard all 5 positions, legitimately not masquerading. There going to see a player who can play all 5 positions on offensive….not pretending to do so. There are going to see a player who has willed herself not to the next level but the highest level. I believe right now, Kayla Richardson is able to play with anyone…she is that good right now….the Spotlight is going find Miss Richardson this summer and she is going to have …an ACADEMY AWARD WINNING PREFORMANCE. ONE on ONE Champion, Maryland University Camp. NEW JERSEY REPORT ALL FRESHMAN TEAM. NEWARK STAR LEDGER NAMED ONE OF BEST PLAYERS in 2020 class.